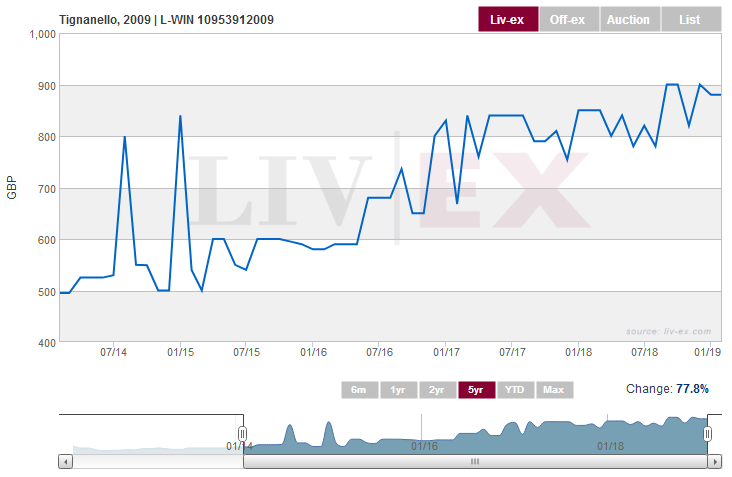 In this series we follow five examples from multiple regions and winemakers using historic financial data from liv-ex the largest online exchange for fine wines to demonstrate the financial gains achieved within a five year period. One of Italy’s world renowned Super Tuscan wines, Marchesi Antinori’s Tignanello has shown some very impressive growth in recent years. 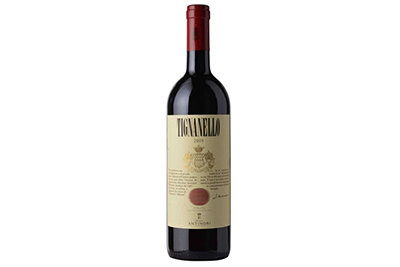 Available for purchase in January 2014 for around £495 a case, the 2009 Tignanello grew in value by 9% the following year to reach a value of £540. The next year saw just £40 added to the value of a case but performance picked up over the next two years reaching a market value of £668, a 35% growth against the 2014 purchase price. As the secondary picked up, the gains continued and after a full five year hold the market value has reached £850 representing a 77.8% growth, or 15.5% CAGR over five years. With such an affordable unit price you should consider buying multiple cases in order to maximise your potential returns.